In a three to one vote, the Swiss parliament’s upper house on Wednesday approved plans to phase out the country’s Five nuclear plants by 2034 – a year earlier than previously expected – in the wake of the Fukushima disaster in Japan. The vote to shut down followed a June decision by the lower chamber of parliament to back an exit from nuclear energy recommended by the government, which had earlier frozen plans for a new construction programme after the explosions and meltdowns at the Fukushima Daiichi nuclear power plant. The vote cements Switzerland’s place as the third among European nations that are abandoning nuclear power. Germany voted over the summer to phase out its nuclear power plant by 2022, and Italy voted in a referendum to abandon even beginning a nuclear power program. Japan, more sluggishly, has said it will phase out nuclear power within 40 years. “This is indeed good news. This is another setback for the nuclear industry, and will for sure have consequnses for the future development of the nuclear sphere. We cannot talk any more about the nuclear renaissance, but instead we should discuss the nuclear recession,” said Bellona executive director and nuclear physicist Nils Bøhmer. 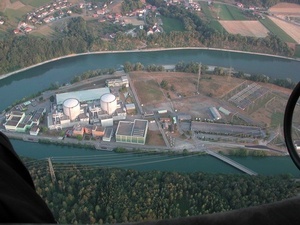 “Swiss parliament is following the same wise trend as Germany and other countries that realize that even though the probability of nuclear accident is low the consequences once it occurs are catastrophic,” said Bellona’s Igor Kudrik, an expert in nuclear power. He added that Fukushima showed that the older a nuclear reactor, the higher was its potential in an accident to go into meltdown. Japanese officials admitted months after the fact that three of Fukushima Daiichi’s reactors – all of them nearly 40 years old – melted down within three days of the March 11th 9.0 magnitude earthquake and tsunami that knocked out its primary and back up cooling systems. “It it simply irresponsible to use nuclear power in densely populated Europe,” said Kudrik. Bern said it would count on the development of its already considerable hydro-electric plants and other sources of renewable energy to make up for the loss of nuclear power, while not ruling out importing electricity. If necessary the country could also fall back on electricity produced by fossil fuels, said a government statement, while still respecting targets set under Switzerland’s climate change policy. Under the government’s recommendation, the first nuclear plant to be shut down would be Beznau I in 2019, followed by Beznau II and Muehleberg in 2022, Goegen in 2029 and Leibstadt in 2034. The government predicted that such a programmed phasing out nuclear energy would favour businesses involved in green technology, boost employment and help Switzerland deal with the expected rise in electricity prices in Europe. Initial calculations estimate that the cost of reshaping the country’s energy resources, offset by measures to cut consumption, would cost the country between 0.4 percent and 0.7 percent of it gross domestic product per year, Agency France Press reported. Environment and Energy Minister Doris Leuthard, who sparked the movement to wean Switzerland off nuclear power, also noted that nuclear energy was becoming more expensive, due to the rising cost of making plants safer and more secure. “If we succeed in promoting new technologies it is an investment in the name of our children for Switzerland’s future,” Leuthard said during the debate, according to Swissinfo. Leuthard acknowledged questions remained and doubts were justified. “What is important though is that we make a start now. I call on you to have confidence in the government that this is the right way into the future and that we can tackle it together and with the support of all responsible-minded citizens,” she continued. Assenting senators also pointed to the still unsolved problem of storing nuclear waste as an impetus to abandon nuclear power. “The continuation of these plants gives us time to find solutions amid a shortage as well as implement more efficient measures,” it said. Other environmentalists, notably Green Cross International’s president Mikhail Gorbachev, welcomed Switzerland’s decision. “I applaud Switzerland for taking this brave step towards ending its reliance on nuclear energy,” he said in a statement. “The ghastly memories of Chernobyl and now Fukushima are too fresh and vivid to allow us to ponder any other alternative than ending our reliance on nuclear energy,” added Gorbachev.